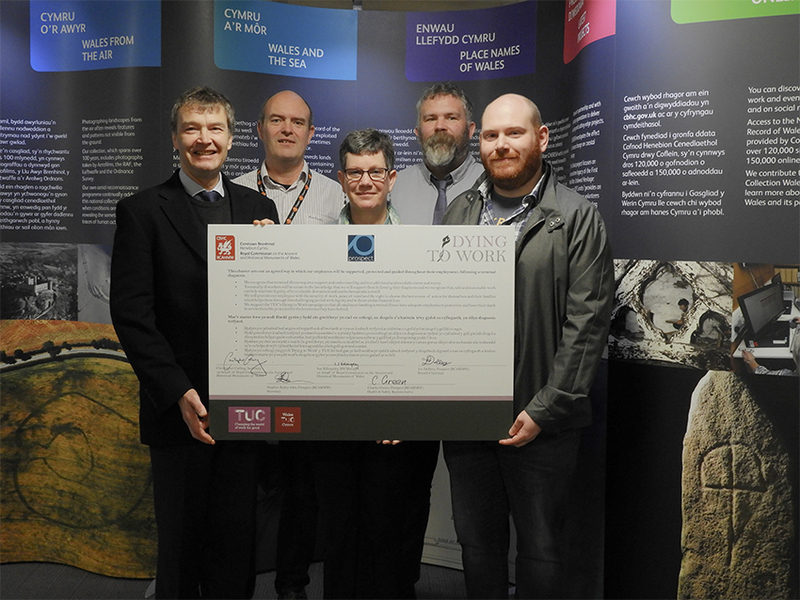 The Royal Commission on the Ancient and Historical Monuments of Wales signed the TUC’s Dying to Work Charter on 7 February 2019. The Royal Commission welcomes the opportunity to sign up to the TUC’s Dying to Work Charter. 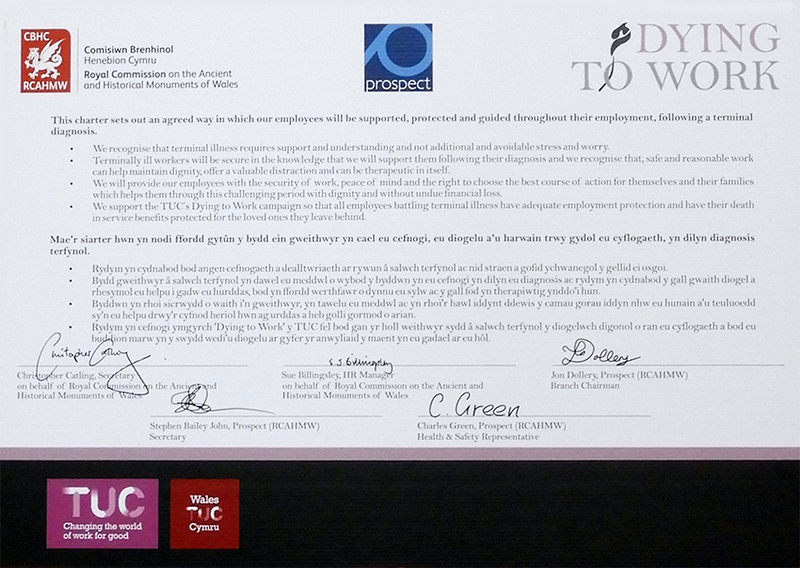 We fully support this initiative and by signing the Charter we are showing our commitment to providing a working environment where all our staff feel fully supported, particularly if diagnosed with a terminal illness. Learn more about the Dying to Work Campaign.